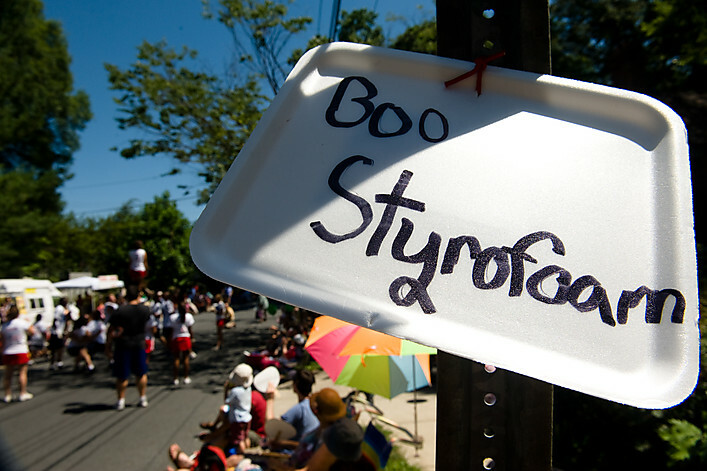 You have heard from me plenty of times why Styrofoam trays are bad for the children, bad for the environment and bad for the bottom line. You have mostly gravely nodded your head in approval or maybe just out of good manners. However, the banning of Styrofoam from New Rochelle’s lunchrooms is in your hands and your hands alone. And many more including immediate neighbors such as Larchmont, Tuckahoe, Ossining. (2) the health and safety of the children. The U.S. Department of Health and Human Services categorized Styrene as a “reasonably anticipated human carcinogen” in 2011. The 2011 USDHHS document cites several studies showing that Americans are dosed with styrene literally from our first taste of mother’s milk. Mothers release styrene and other chemicals stored in their bodies through their breast milk. Primary exposure to styrene comes from food and drink contaminated with styrene that has leached from polystyrene containers. Humans store styrene in our adipose tissue (fat). I am asking you, as a mother and a tax payer, please make the recommendation to ban PolyStyrene trays from New Rochelle’s lunchrooms immediately. Replace them with compostable ones and bring ultimately washable trays back into the schools. This will teach our children, that life around them is not disposable. Make New Rochelle students and staff environmentally literate by eliminating disposables and educate through example.